There are more than 20 restaurants and small businesses participating in Sandy Springs Restaurant Week 2018. The carefully crafted Restaurant Week Menus feature flavors from all across the globe. Meet the chefs, artisans and owners behind the menus before getting out and dining during the week of November 3rd-9th! 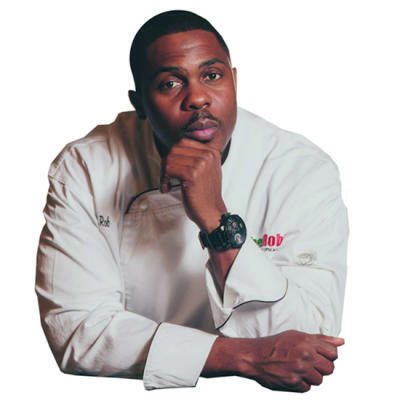 Robert Gayle, the Executive Chef and owner at Chef Rob’s Caribbean Cafe, combines his Caribbean background with a Culinary Institute of America education, gathering flavors from around the world to refine a menu of island comfort fare. After spending his childhood in Jamaica West Indies, Chef Rob relocated to the United States and began to develop his culinary love at age 13 by working as a steward in Brooklyn. Shortly after obtaining his culinary degree in 1993, his skills and prestige steadily increased over time, allowing him to eventually assist with the openings of Sean ‘P. Diddy’ Combs’ New York and Atlanta venture, Justin’s Restaurant, in 1997. There he was able to deliver his culinary expertise for the likes of Jennifer Lopez and Akon. Chef Rob’s mental Rolodex includes recipes for top-selling entrees and Caribbean Cuisine such as braised beef oxtails, ackee and saltfish, jerk chicken. curried goat, dry-rubbed spare ribs, and his signature spicy jerk seasoning. In addition to opening his Atlanta-based restaurant in 2006, the Chef Rob brand continues to grow with its wide selection of signature sauces, intimate cooking classes, and event catering options. 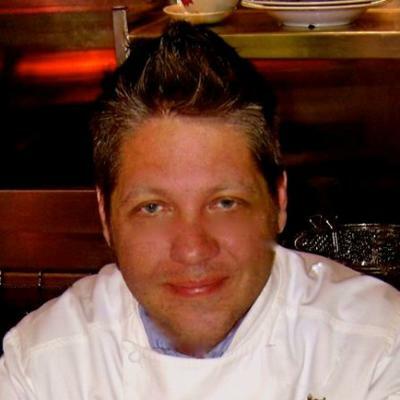 As the executive chef, co-founder and CEO of several Atlanta-area and Florida concepts, including Marlow’s Tavern and Sterling Spoon Culinary Management which operates hand-spun brands Market Street Café, Bistro 191, Bistro 1230 and Twelve Eighty at the Woodruff Arts Center, Metz has over 30 years of restaurant and hospitality experience. 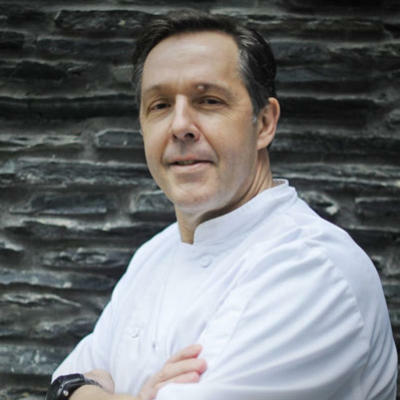 Metz began his career at some of New York’s finest restaurants before serving as executive chef and executive director of research and development for Carlson Restaurants Worldwide. Today, Metz has opened locations of Marlow’s Tavern in Georgia and Florida. Marlow’s Tavern was named Nation’s Restaurant News 50 “Breakout Brands” in 2013 and received the Georgia Restaurant Neighbor Award in 2017. 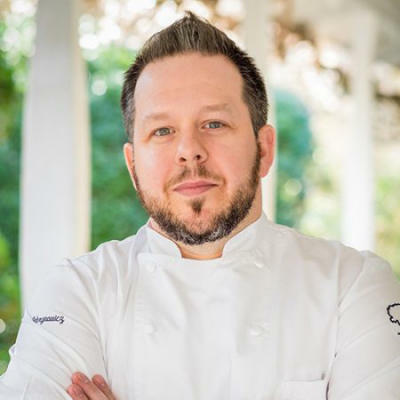 He also oversees Sterling Spoon Culinary Management, an upscale contract foodservice company that operates over 15 cafes in Georgia and was named #39 out of the top 50 foodservice companies by Food Management magazine in 2016. Sterling Spoon Culinary Management is known for making everything in-house using the freshest, highest quality ingredients available. Metz is on the National Restaurant Association’s Board of Directors, the Culinary Institute of America’s Board of Trustees and is involved with the Special Olympics of Georgia and Share our Strength organizations. In 2013, he received the International Foodservice Manufacturers Association (IFMA) Silver Plate and Gold Plate Awards. A Georgia native, Holly has always had a passion for healthy living and understanding how our foods fuel our bodies and minds. After 15 years of working along side some of the country’s most innovative and respected real estate and golf course developers, including Sea Island Resorts, Kiawah Partners, Tiger Woods Design and Nicklaus Designs, Holly decided to pursue her passion for preparing and eating simple, whole foods with an emphasis on plant and other natural ingredients. 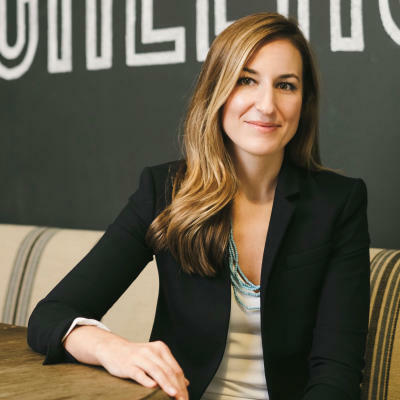 After researching and interviewing several potential franchise partners, Holly fell in love with the Frutta Bowls concept and the leadership team behind the name. Using many “superfood” ingredients such as acai, blueberries, kale, chia seeds and avocados, Frutta Bowls Chastain Park offers smoothie bowls, smoothies, artisan toast, coffee, kombucha and more. Using simple ingredients, Holly enjoys talking with customers about the benefits of eating healthy and helping each customer find their perfect Frutta Bowl. Just three months after opening in the Fountain Oaks Shopping Center off Roswell Road, the Chastain Park and Sandy Springs communities have warmly embraced the Frutta Bowls family. And Frutta Bowls is already growing its family, expanding its menu options to include artisan toast and organic coffee. We are so proud to be a member of this community and look forward to saying hi for the first time, welcome back or see you again real soon. 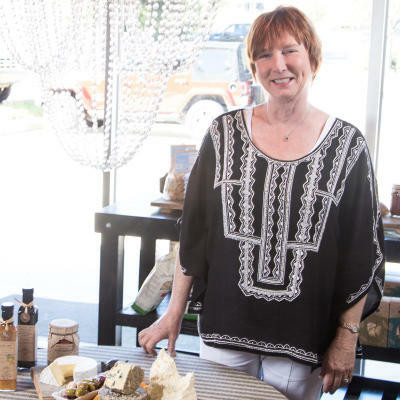 Ultimately, CalyRoad Creamery has become a journey of learning not only the art of cheese making, but the art of cheese pairings. Come visit CalyRoad Creamery, take a tour, taste a wine or two and let us shepherd you into the art of provision pairing with our locally made cheeses. Take home a picnic or tailgate basket, find a gift of food or let us cater your next party! After years of being enamored by virtually every aspect of Italian culture, Jamie Adams spent nearly five years honing his craft at some of the finest restaurants in Italy. While there, he learned from many highly acclaimed chefs (as well as Italian Grandmothers!) not only the nuts and bolts of the cooking, but more importantly about the culture, the people and the traditions behind the flavors. Upon returning to Atlanta, Chef Adams began his twenty-year relationship with the prestigious Buckhead Life Restaurant Group and Pano Karatassos, first at Pricci, then at Veni Vidi Vici. It was at these two restaurants, that Adams achieved the reputation as one of Atlanta’s preeminent Italian Chefs. In 2000 at the age of 41, Adams became, as he refers to it, “the lucky recipient of 4 Coronary Artery Bypass Grafts (CABG), fondly referred to as “Cabbage” aka, quadruple bypass. Faced with such a life altering (or ending…) event, Adams paid attention to the “wake-up” call and began a new life of healthy diet and exercise, primarily in the form of road cycling. It also rekindled in him the desire for a new platform to express his many influences, from the beautifully hand crafted pastas learned in Piemonte and Emilia-Romanga, to the wonderful variety of the Italian coast from Venice to Genoa. In addition to building a loyal following and maintaining his great health, Chef Adams is exceptionally proud of his fundraising efforts for many organizations that are important to him, including Share Our Strength’s No Kid Hungry and Moving in the Spirit, among others. 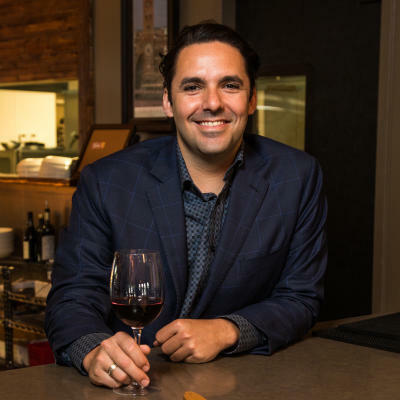 General Manager & Co-Owner Leonardo Moura leads the dining room at il Giallo Osteria & Bar. Born in Brazil, Leonardo graduated with a degree in Business Administration from The Catholic University of Goias in Goiânia. After graduation he remained in Goiânia where he owned a very successful clothing factory. In 1999 Leonardo relocated to Atlanta, where his love for the restaurant business began. He started his journey in the restaurant business working at a French Bistro called Violette. 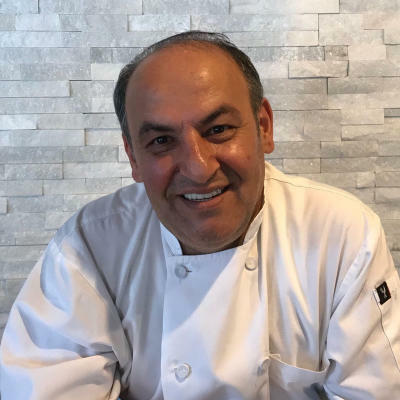 Driven by dedication and a passion to provide the finest level of hospitality, Leonardo joined the Buckhead Life Restaurant Group where he swiftly worked his way up the restaurant ladder. As one of the few, Leonardo was able to experience several restaurants within that company which includes The Buckhead Diner, Chops, The Club, Lobster Bar, Panos & Paul’s, Pricci, Kyma and the beloved Veni Vidi Vici. Throughout each restaurant he mastered key skills in every position he held, shaping him into a very knowledgeable person. Leonardo was a pioneer in bringing Biodynamic and Organic Wines to the Italian portfolio in Atlanta as well as quality locally made wines. His goal is to continue to raise the bar by carefully selecting wines from small producers who focus on responsible practices. He has been mentioned in several publications and because of his cutting edge wine program he’s earned several accolades. After more than a decade as a leader on Atlanta’s restaurant scene, Leonardo has cultivated an extraordinary team at il Giallo, comprised of professionals who are passionate about Italian culture and cuisine and providing the finest service imaginable. Kacmaz was born in a small city called Sinop in 1966. He moved to Istanbul when he was only 12. He started as a dishwasher at a small restaurant where he also learned how to become a successful chef. Kacmaz is specialized in Turkish and Ottoman cuisine. He worked for famous restaurants and hotels as an executive chef such as Konyali, Fehmi and Movempick Hotel in Istanbul. After retiring in Turkey he came to U.S to help open the Mandolin Kitchen to serve our customer authentic Turkish food. Everardo Garcia is a Mexican-American chef whose humble beginnings had him working his way up from dishwasher to Executive Chef. 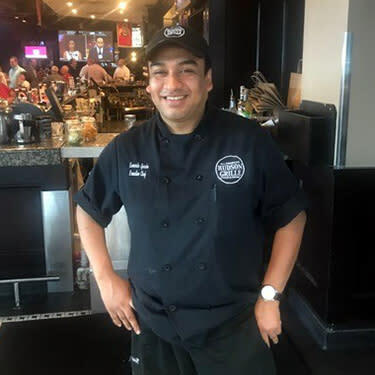 Everardo has happily filled the role at the Sandy Springs Hudson Grille. He is one of the original opening managers for this location from 2010. Everardo and his Managing Partner Heather Watson have worked together at multiple locations in multiple positions of the restaurant for more than 12 years. Everardo ensures great guest experiences through his vigorous staff training, food consistency, and restaurant cleanliness. Everardo loves to play scratch offs, so if you want to get on his good side bring him in a few. His jovial approach to every situation good or bad makes it a pleasure to work alongside such a great chef. Chef William Sigley | Chef/Co-Owner, Under The Cork Tree & Hammocks Trading Co.
William Sigley is a locally renowned Chef located in the Metro Atlanta area of Georgia. Having worked in the industry for over 25 years he brings much experience and talent to his position. Chef William got his start in Las Vegas, Nevada where he worked under such Chefs as Wolfgang Puck, Todd English, and many more. He partnered with Jason Sheetz in 2011 after having worked together for the Here to Serve organization for several years. The duo realized that they made a great team and decided it was time to go out on their own. After a period of consulting for other restaurant operators, the two launched Hammocks Trading Company in Sandy Springs, Georgia on August 3, 2012. Lauded as a top 100 “Neighborhood Gem” in the country, Hammocks has also garnered much local acclaim, including a 3 star review in the Atlanta Journal Constitution. Trained in many genres of cuisine, his current endeavor is a marriage of his West Coast flair with his business partner’s Southern roots. William Sigley lives in Woodstock, Georgia with his wife and four children. In his spare time he enjoys gardening and restoring vintage Mercedes. Jason Sheetz | Co-Owner, Under The Cork Tree & Hammocks Trading Co.
Jason Sheetz is an Atlanta native, growing up right here in Sandy Springs. His love for the area and its neighborhood charm is what drew him back here to open Hammocks Trading Company and Under The Cork Tree. After graduating from the University of Georgia, Jason began his management career with Chequers Seafood Grill at age 23. Shortly after, he accepted a position managing for the Liberty House Restaurant Group. Working at Atlanta’s highly acclaimed fine dining establishments, Blue Ridge Grill and Bones, Jason gained invaluable knowledge and experience. At 26, Jason took an opportunity to work for Master Chef Tom Catherall, (owner of Here to Serve Restaurants) at Goldfish Restaurant. Catherall moved Jason into the General Manager position quickly. 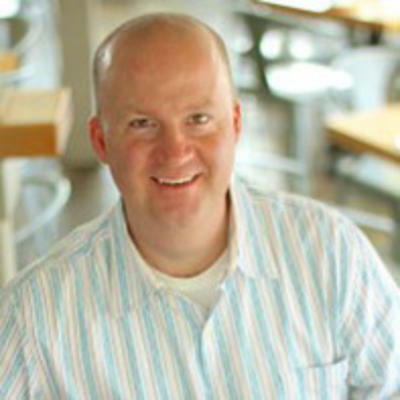 In 2008, Jason became the General Manager at Twist, and then the Area Director for Here to Serve Restaurants in 2010. 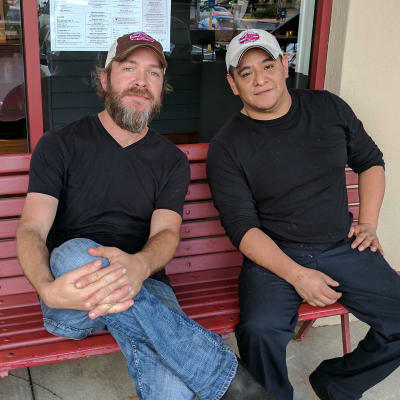 While working for Here to Serve, Jason met and immediately befriended Chef William Sigley.They shared a vision: To open a local establishments where guests could sit back and relax while enjoying exceptional service and dine on dishes prepared flawlessly with the freshest ingredients. From this idea, Hammocks Trading Company and Under The Cork Tree were born. Jason and his wife, Lake, reside in Kennesaw with their two children, Colton and Piper. They all share a love for travel and adventure. Spelunking, hiking and camping are family favorite activities. Justin Keith and Adrian Balboa are the culinary team that drives the menu at Southern Bistro. Justin has worked in kitchens and run restaurants for over 20 years. A graduate of Scottsdale Culinary Institute in early 2000, he moved to Atlanta and has been cooking ever since. He recently joined the Southern Bistro team and now works alongside with Adrian in the kitchen. Adrian has been with Southern Bistro for the past five years. Prior to joining Southern Bistro Adrian, worked for Houston’s, J. Alexander's and BrickTop’s. Together they are making the food at Southern Bistro an attraction for dining in Sandy Springs. Eric is a born-and-bred New Yorker who has always been obsessed with Southern cuisine and spirits. He is a four-time semifinalist for the James Beard Award categories of Rising Star Chef and Best Chef Northeast and was named Food & Wine Magazine’s "People’s Best New Chef of New York" in 2012. 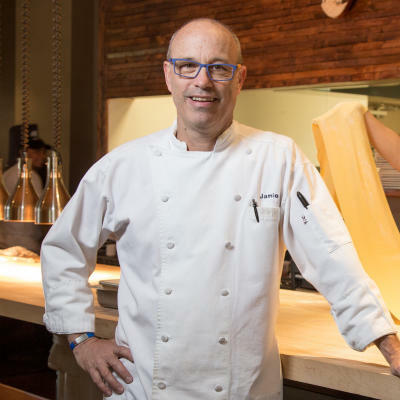 Eric joined the team at Danny Meyer’s iconic Union Square Café in 2000, where he continued to develop his culinary skills. With over 20 years of culinary expertise, Chef Scott Kinsey took his vision of Latin-Asian fusion to life as the founder of Taqueria Tsunami, an Atlanta based casual dining concept. Since inception in 2011, Taqueria Tsunami has grown to 7 units. It is easy to understand Chef Kinsey's passion for food, the minute you experience any dish at the locations throughout Georgia. After studying in Paris, Chef Kinsey pursued his culinary career working for national restaurant brands, where he developed menu items as a Corporate Chef and Sr. Director of Research and Development and opened locations around the world. In this role, Scott Kinsey oversaw the product development, vendor relations, trend and results analysis, as well as contract negotiations for the 450 domestic and international units. The decades of operational and corporate experience gave him the insight to open and operate his own concept, and share his love for food with hundreds of people every day. In addition to Taqueria Tsunami, Scott Kinsey and wife Alexis Aleshire-Kinsey also created two additional restaurant concepts under Fork U Concept’s umbrella. The company currently operates 11 restaurant units including Taqueria Tsunami, Stockyard Burgers & Bones and Pressed Panini Bar. 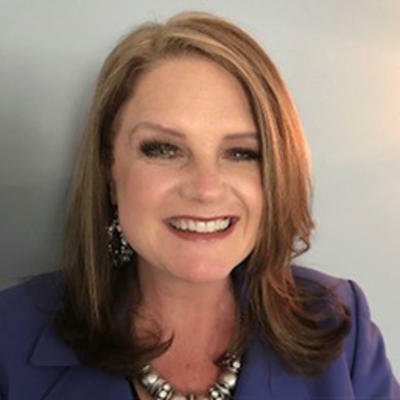 In 2010, Tisha was at the top of her game as a corporate executive progressing through the highly matrixed infrastructure of the hospitality sector at a Fortune 1000 company. She was well respected and known for getting things done. But after 20 years of navigating the highs and lows of corporate politics, she began thinking it might be time to change paths. She wanted to use her expertise in creating and developing customer-centric brand experiences to do something that was meaningful, made people truly happy, and gave back to the community. Then, on a trip to Dallas, Tisha stopped in a Nothing Bundt Cakes shop and an idea began to take shape. The bakery was adorable, the cake was delicious and the owners were 2 women who didn’t compromise with their ingredients, integrity or the pursuit of the perfect recipe. They were looking for franchisees that would take care of their brand and nurture its home-kitchen roots as well as understand the need for a savvy business acumen to thrive in today’s competitive marketplace. Everything spoke to Tisha’s soul, so in 2011 she happily traded in her heels for an apron and she and her sister, Shannon Van Meter, opened the first Nothing Bundt Cake east of the Mississippi river. Since opening its doors 7 years ago the bakery has become a huge success and is loved by their many, many loyal customers as well as the first time walk-in visitors that take that initial bite of deliciousness. Tisha and Shannon’s shop has become a training ground for new bakeries as they go through the opening process and a testing location for new ideas coming out of the main office. 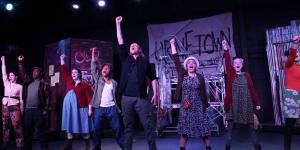 They were named Sandy Springs Small Business of the Year their first year open and received numerous corporate awards. But the more compelling part of the story is definitely what goes on behind the scenes and how Tisha and Shannon have touched the heart of Sandy Springs neighborhood with their cakes. Brian’s first taste of the culinary world started in high school, where he learned many of the basics and went on to compete in the state and national ProStart competitions winning 1st and placing 8th respectively. He started his career at 16 as a bus boy at a local pizzeria and quickly climbed the ranks to be a pizza cook and shift manager before his 18th birthday. Brian attended culinary School at AIA, receiving top marks in all of his classes. At this time, Brian worked at a few places, such as the Renaissance Hotel and for Master Chef Gunther Seeger at his short-lived restaurant in Buckhead. Eventually, he found himself a new position at a country French bistro and café as a line cook. He went on to open 2 new bistros on the corporate level with the company before accepting a new position as a Sous Chef at an upscale banquet hall and catering company. This evolved into opening up his own personal chef and catering business where he would cook for families in their homes and put out cocktail/dinner parties and even weddings. After a few years Brian decided to close down his personal chef business and found a position at an upscale farm to table restaurant as chef de tournade. There he worked all positions and learned more refined techniques and better execution skills under high volume. With new and fresh vegetables coming in from the farm in daily, Brian was challenged to create and execute a wide array of dishes daily with whatever was fresh from the farm. After learning everything that restaurant had to offer him, Brian accepted a new position at Meehan’s Public House. 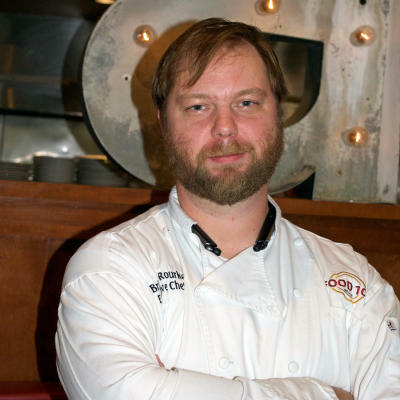 Brian was originally Head Chef of Meehan's in Sandy Springs. With his in-depth menu knowledge and previous opening experience, Brian was given the opportunity to open the latest location in Buckhead, building his kitchen and crew from scratch. 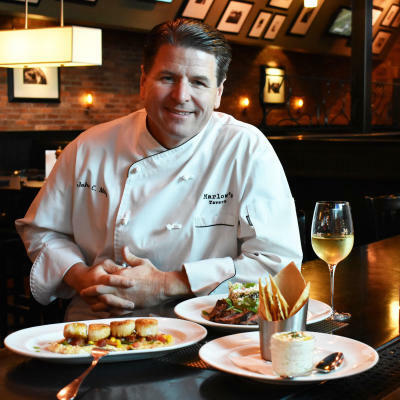 After his success within the company, he was shortly promoted to Corporate Chef overseeing all back of the house operations across all five Meehan's locations. 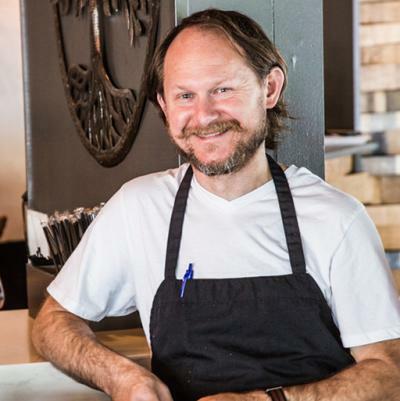 After 3 ½ years in that position, Brian was offered the Executive Chef position at Food 101 where he currently creates new and delicious dishes every day. Get your holiday shopping done at The Elegant Elf Marketplace. 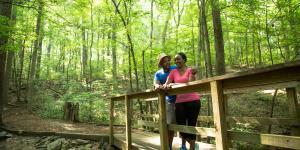 Explore the trails of Big Trees Forest Preserve.